Heroes Arena : Lag Free Global 5v5 mobile game. Fast, Fair and Fun! Fight for Glory! 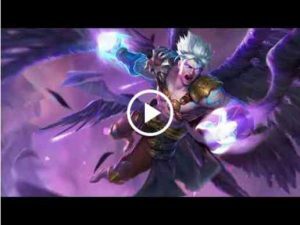 HEROES ARENA is the newest and best global multiplayer online battle arena game designed specifically for mobile, focused on fair eSports, fun and lag-free! Enjoy massive PVP action with 1v1, 3v3, 5v5 and other multiplayer battle modes for you to join in as players battle to climb rankings to earn glory and awesome prizes! Lightning quick matchmaking with low queue times and fair gameplay with the emphasis on fast-paced fun. Never pay to win, it’s all about Play to Win! Classic MOBA experience with global multiplayer gameplay with players in your region automatically joining your team. Simple controls and user interface gets more moba battle action on your screen yet gives you full control of your hero. Advanced controls such as preset before battles your Fast Buy equipment, Leader Abilities, Runes and more to give your hero an even more competitive advantage against the other team. No need to return to base to purchase equipment, buy it on the fly right in the middle of combat and surprise your enemy with increased power! Fast and quick auto-translated communication preset notices lets your team collaborate and strategize without needing to pause battles to type! Auto-recorded and saved battles lets you focus first on fighting and then reviewing and sharing your epic wins with others across your favorite streaming channels. Heroes Arena launches with 20 gorgeously designed unique heroes with epic special ability and ultimate ability animations. Play across six distinct hero classes such as Assassin, Mage, Marksman, Support, Tank and Warrior! Check out the multiple skins too to give your hero a unique look and edge against the competition. Monthly releases of new heroes and skins will be coming. Great game, its well thought out and runs smoothly with no lag. Ive only put three stars though because for some reason i havent being able to load into matches and the games taking away my credit score, when its nothing to do with me. The internet is fine and my phone is up to date. This issue needs fixing. EDIT: i still havent being contacted back by customer support eventhough they said id only have to wait a day. It is an enjoyable game so far. However, please do something about sylvis. She is the MOST unbeatable heroes in this game. And the outcome is ALWAYS unfair. She is too strong, I cant find any hero to have a fair battle with her. So far, Fiorina is the only hero that is able to take her down, but in late game, Sylvis is STILL able to kill and win. I am a Sylvis user myself, and I know how easy it is to use her. I avoid using her in battle for fairness of the game. Please consider. Good game. this is a great Moba i enjoy it greatly but seriously? weekly cap? what the hell guys, remove that stuff. who wants weekly gold cap and weekly rank up cap. and maybe increase the gold gain you get from matches because with people who can’t pay to gain takes months to actually achieve the gold or ticket ammount for a new hero. and that’s a big game killer really change that. and release the new hero already. so for now i will uninstall the game until some improvement has been done.